Qantas Airways is taking drastic steps to get its financial house back in order. 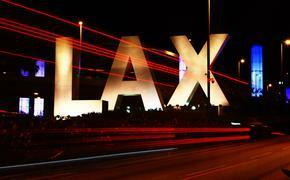 The airline is cutting 5,000 jobs, nearly 15 percent of their work force, by 2016. CEO Alan Joyce said the cuts would be companywide, including pilots and cabin crew. "We will cut where we can in order to invest where we must," Joyce told a news conference in reporting the company’s half-year financials. "We will be a far leaner Qantas Group." The company will attempt to cut $1.8 billion in costs over the next three years after only its second first-half loss since its privatization in 1995. This will also be the company’s biggest cost-cutting moves since that privatization. The airline will also sell off 50 of its more gas-guzzling planes in its fleet. The announcement comes as the airline is fighting back in what has been a tough domestic battle with Virgin Australia. The company is looking to the government for help in that fight, asking for a debt guarantee — which would help in raising cheaper capital — and looking to lift restrictions on how much foreign investors can pump into the airline. Qantas is arguing that its current 49 percent foreign ownership cap is keeping the company from being competitive with Virgin, who has access to unrestricted foreign capital. The airline is arguing that although seen as an Australian airline, Virgin is given favorable international traffic rights even though the majority investment is foreign — from Etihad, Signapore Airlines and Air New Zealand. All this as the company spent big to bring the cast of "Modern Family" and some 80 crewmembers Down Under to film an episode. The company is defending what experts believe to be as high as a $1 million spend by saying the move can have a huge effect on travelers. The company is spending $280,000 on a 30-second ad during the airing of the "Modern Family" episode in the U.S., in hopes of a big bump off the exposure. Qantas points to the huge effect of Oprah Winfrey’s 2010 visit to Australia in boosting the tourism industry. Nearly half of all U.S. visitors to Australia said Oprah being there influenced their trip. Same can be said for Ellen DeGeneres’ visit last year. 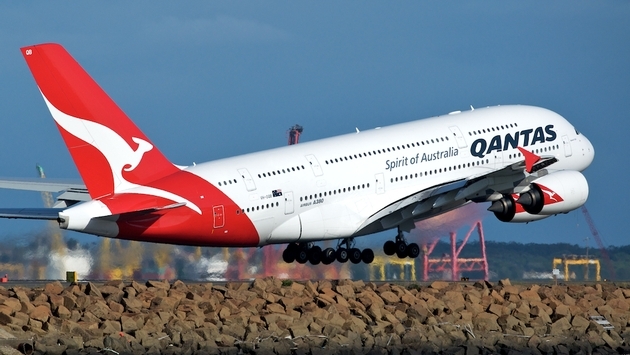 Qantas has previously said that the visit helped increase inbound flights by 22 percent. The company has already seen big publicity payoffs from the cast Tweeting and posting Instagram photos during their trip and cast members doing a full-on Australian media blitz. Trade unions have already spoken out about the coming job cuts, saying that publicity bump will be little consolation to the staff that faces unemployment.